This article describes basic setup of OmniFocus. 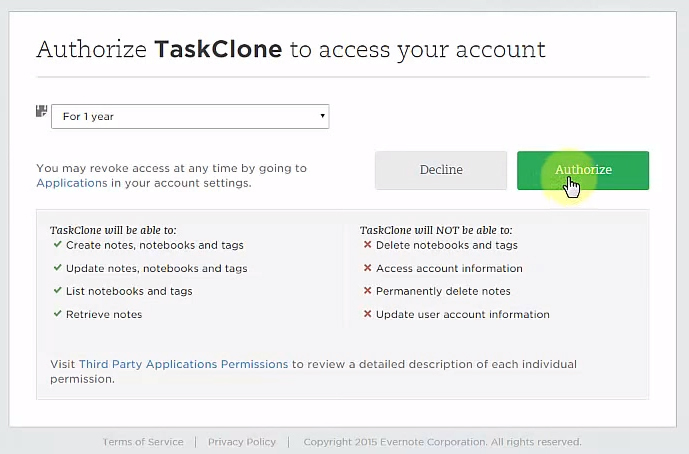 TaskClone works by sending tasks to OmniFocus via email. For this to work, you'll need to know the email address OmniFocus uses to receive tasks. Note: To speed setup, open your Evernote, Email and OmniFocus accounts in your browser. Select your task app (i.e. OmniFocus). Find your OmniFocus Inbox email address. A. Go to the Omni Sync Server which you can access from directly within your OmniFocus app or from this address: https://manage.sync.omnigroup.com. If you haven't signed up for this service, go ahead, it's free. B Login to the Omni Sync Server and you will see the configuration for email. 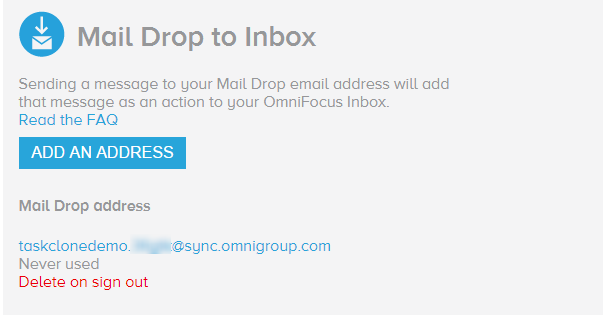 Click "Add An Address" to have OmniFocus Sync Server create an email address for you. C. Copy the email created (see below for example). 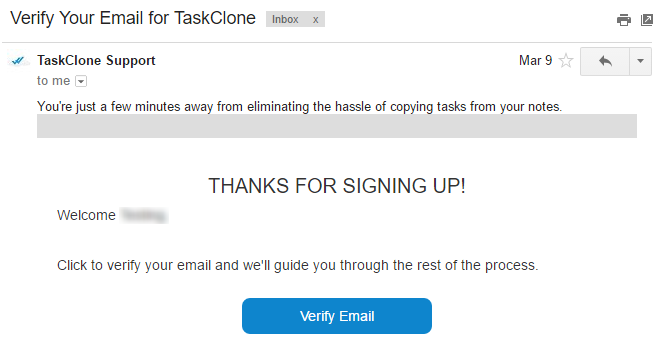 Paste your unique omnigroup.com email address into TaskClone as the Destination Email.